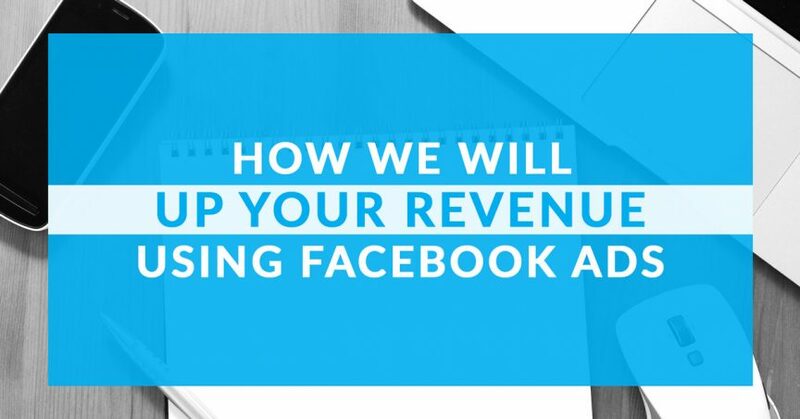 At WebbyUp, we know how to use Facebook ads to drive leads and grow customer acquisition consistently. Our three step process will not only “Up” your revenue, it will maximize your ROI as well. In fact, we’re so confident we can generate more business for you that we’re going to tell you exactly how we do it. Other agencies won’t do that. Not unless you contact them for more details. That’s because they want to get you on the phone and try to push a sale. Not WebbyUp. We know our system works and we aren’t afraid to tell you how. How Much Should You Spend to Gain a New Lead? The VALUE of a lead should not be confused with the COST of a lead. The cost refers to how little you want to spend to acquire new leads while the value tells you how much you can afford to spend on a lead and still make a profit. The difference between the lead cost and lead value is important. 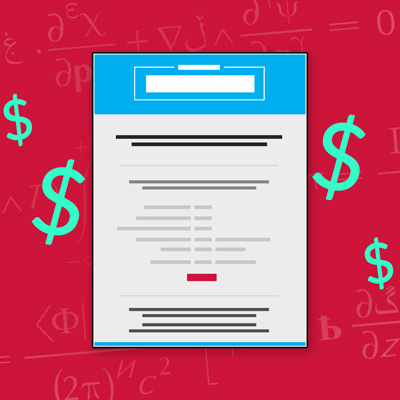 You are running ads and it’s costing you $5 for every lead you gain. You think it’s too expensive and want to reduce your cost per lead. On the other side, when you close a lead, you make an average profit of $200. With a simple calculation you figure out that the rate at which you close a lead is 10%. By multiplying your average closed lead profit ($200) by your lead close rate (10%) you know that every individual lead you get is worth $20. This means you could spend up to $19.99 for a new lead (whether they close or not) and still make a $.01 profit. Think about would happen if you tested an ad campaign where you pay $6 or even up to $10 per lead. Doing this could potentially double or even triple your overall sales. Possibly even more. There could be a pool of leads ready to buy at a price point just above the $5 you’re used to paying. Suddenly, paying more for a lead doesn’t sound so bad, does it? I don’t want you to worry about the math involved in Lead Value calculations. For that you can download our FREE Lead Value Calculator HERE and you can read more about Determining Your Lead Value Here. Just know that the COST of a lead isn’t as important as the VALUE of a lead. We at WebbyUp will help you figure out your lead value. In reality cost doesn’t matter. Of course you don’t want to waste money, but cost is not the metric that matters. Understanding the value of a lead is what matters. What does that mean? Let’s assume you have a $200 product and it converts at 4% through your normal process of generating customers. That means every 100 leads are worth $800 (4% of 100 = 4 x $200 product). So, for each SINGLE lead, you’re making $8. By understanding that each new lead is worth $8, you can spend up to $4 to acquire a new lead and double your money. Focusing on the cost of a lead instead of the value of a lead may save pennies, but will lose dollars. Once you have your lead value, you should no longer focus on trying to get cheap leads. Because the guesswork on whether an ad is effectively working or not has been removed. The decision is trackable and it becomes binary. Is this ad working? Simply check if it COSTS more than it MAKES. Marketing online only works when it follows the the natural progression of a human relationship. You wouldn’t ask a person that you just met to share a bank account, right? The same is true in digital marketing. Going straight for the sale before building a relationship is where many businesses get it wrong. Since relationship progression also applies to your digital marketing, it would be a mistake to ask someone who just learned about your business to buy a $500 product. So, when do we ask the customer to buy? We’ll answer this by explaining how we classify incoming customers (or traffic) and how each classification fits in the natural progression of building a relationship. At WebbyUp, we look at your incoming customers as traffic. We separate the traffic into temperatures. Cold, Warm, and Hot. Simple, but it works. People who have never heard of you or your brand are considered Cold Traffic. If you are a new business or new to online marketing, everyone is classified as Cold Traffic. Don’t ask for the sale from this group. You MUST initiate a relationship BEFORE asking them to buy. Cold traffic is where you begin to build trust. Trust is key in this relationship. You start building trust by introducing your brand to your target market and giving them value in the form of content. You show them that you know what you’re talking about. CRITICAL STEP: One massively important element of online marketing is pixeling. A pixel is a piece of code that collects anonymous data from anyone who interacts with your website or facebook ads. The pixel makes it possible to track your traffic as they move through the customer journey. One of the most important goals of advertising to cold traffic is to start tracking them via pixeling. Think of this group as your acquaintances. They probably follow at least one of your social channels, have visited your website, or opted-in to your email list. Even though they know who you are, they are still evaluating your brand and aren’t certain if they’re going to buy yet. They need some convincing. You’re going to run ads to your warm traffic that encourages them to convert to a lead (opt-in) if they haven’t already. Just remember, you shouldn’t ask for a BIG sale from this group. It’s too soon in the journey. The goal of advertising to Warm Traffic is to generate leads. In other words, moving people from Cold Traffic to someone who has given you a form of contact information (e.g., email address). This group is primed for a sale. They are going to be your buyers. They know exactly who you are and have confirmed their interest through multiple microtransactions. Microtransactions are things like clicking blog links, following you on multiple social channels, giving you their contact information, or giving your brand more time in general. They know you really, really well. These are your “friends.” This is the group that you ask for the big sale. We, at WebbyUP, build you a funnel with a Top (Cold Traffic), Middle (Warm Traffic) and Bottom (Hot Traffic). The funnel is the actual process of ascending a customer from a total stranger to a repeat buyer. In other words, the funnel moves a customer from Cold Traffic, to Warm Traffic, to Hot Traffic and ultimately a paying customer. We do this by working with you to create useful and/or entertaining content and broadcasting it to your target audience through social ads and/or boosted posts. At the top of the funnel, your Facebook ads will be targeted to anyone who fits your customer demographics and have little to no interaction with your brand (a.k.a. Cold Traffic). The ads will offer value to prospective customers. Value in the form of entertaining or informative videos, blogs or other content showcasing things important to your target audience. Podcasts or a Facebook post also work, as long as it provides real value. That’s the key—value. Anyone who interacts with this content will be tracked through pixeling. The pixel will segment the traffic into a hypothetical bucket (or audience) that you can target for the Middle of Funnel stage. In the Middle of the Funnel, Facebook ads are targeted to people collected through the use of pixeling in the Top of Funnel stage. 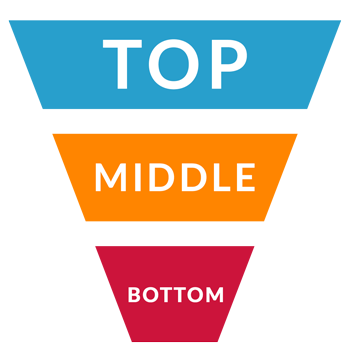 Your current social media followers or email list (if you have one) are also considered Middle of Funnel. Offers made to Middle Funnel should contain something of value that is only available if a person trades their contact information (e.g., email address or phone number). Examples of content for this stage could be a time saving tool, an ebook or a live webinar. A low-dollar offer ($7-$20) could also be used for Middle Funnel. The low-dollar offer isn’t the same as your main product and won’t make you rich. It’s intended to spark an impulse buy that offsets some of your ad costs. An example of a low dollar offer could be a branded notepad if your business is teaching people how to write. Like in the Top Funnel, we track anyone who completes the desired action (e.g., give email address or purchases low-dollar offer). Those who complete this goal are also tracked by the pixel and added to a group (or audience) used in the Bottom of Funnel. Welcome to the happy place, the Bottom of the Funnel. You’re finally to a group that is set and ready to buy. We set up Facebook ads to target the audience created in the Middle Funnel stage and ask for the sale of your main product. The likelihood of this group buying is staggeringly strong. They have proven to be a big fan of your brand through the microtransactions at Top and Middle Funnel and they know that they want your product. Pro Tip: The process of ascending your traffic from Middle Funnel to Bottom Funnel could be handled by an automated email sequence. We offer pre-written email copy that has proven to convert at extremely high levels. Please let us know if you would like more information on our Automated Email Selling Machine. If you stop communicating with your traffic after the purchase, you’re leaving money on the table. We can help you increase the lifetime value of each customer and create advocates who will spread the word of your brand simply by adding a few steps after the sale. By taking the opportunity to follow up to answer questions, give tutorials, upsell an accessory or offer Done For You services, you solidify the relationship. This small but effective step will keep your customers coming back again and again.